The article does not add anything too remarkable to the news of Allsop having his trip to Nepal funded to deliver the piece of art. But what is intriguing is the new spin being put on the story of the removal of the Pangboche Hand by Peter Byrne. It has been rather well-established, through Byrne’s own previous testimonies, in more than one documentary, that he got a monk drunk, and then removed pieces of the hand from the monastery. But in this end-of-May story, the Allsop project is promoting a new twist on history, thanks to a letter from Peter Byrne they publish. “We made a donation of ten thousand rupees to the temple — only about $160.00 in today’s rate of exchange, but a large amount for a community where the average income might be as little as $15 in a year — and the lamas then gave me a go ahead to take one finger and replace it with another [...] from the human hand I had brought back from London,” wrote Byrne, in a letter to Allsop. 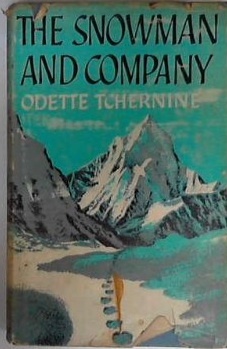 The unnamed woman at the re-created meeting between Tom Slick, Dr. Osman-Hill, and Peter Byrne was Odette Tchernine, author of books about the Yeti. 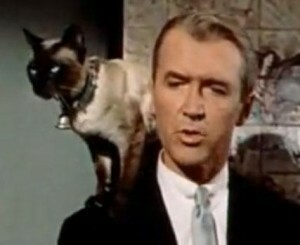 The actor Jimmy Stewart’s role was left out of NBC’s The Unsolved Mysteries’ segment. To include the star was apparently too touchy for the 1991 program. But Stewart, in 1980s’ interviews with me, in a 1988 letter, and in an introduction to Tula Hatti: The Last Great Elephant (1993) by Peter Byrne, confirmed he transported the stolen pieces of the Pangboche Hand from India to England, on behalf of Byrne, F. Kirk Johnson, and Tom Slick. Remarkably, Stewart was also involved, years later, with placing on the record an entirely new account of how the bones from the Pangboche Hand came into Peter Byrne’s possession. After the publication of my first book on Tom Slick in 1989 by Faber and Faber, Byrne asked me to introduce him to the publishers there. He wanted to write a new book, and wanted to find a publisher easily. I did him the favor of an introduction, and he did get his book published by Faber and Faber (without any thanks or acknowledgement to me, I might add). Peter Byrne’s 1990 book from Faber and Faber turned out to be Tula Hatti: The Last Great Elephant. It contained an introduction by the Jimmy Stewart. I quote from the opening, which gives yet another version of the Pangboche Hand story, involving the Slick-Johnson Snowman Expedition (which was not known by the name Stewart mentions). The Stewarts were friends of F. Kirk Johnson, Tom Slick’s friend and cosponsor. My wife Gloria and I first meet Peter Byrne in Calcutta, India in 1958. At that time he was running the American Yeti Expedition in the northeastern Himalaya of Nepal. Gloria and I were friends with the sponsors of that expedition, so when Peter found some bones in a cave in the mountains and wanted to get them to England for scientific examination – and as we were passing through India at the time – we offered to help….page VII, Jimmy Stewart. I shall not go into the details of how we got the thumb and the phalanx of the Pangboche hand. The main thing is that we have them, and that the lamas of the monastery do not know that we have them. Because they do not know it is of the utmost importance that there is no news releases on this or any publicity for some time….The Pangboche hand is still complete, as far as the lamas are concerned. 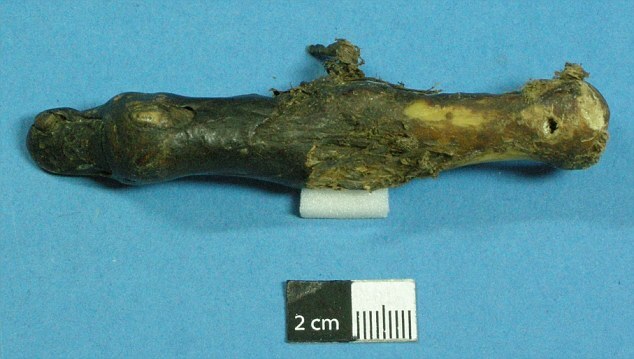 It still has a thumb and an index proximal phalanx. What they do not know, and what they must never know, is that the thumb and the p. phalanx at present on the hand are human ones, which we switched. Peter Byrne, also in December 2011, on BBC Radio 4 (“Yeti’s Finger“), mistakenly recalled the removal incident as happening in 1961, not 1959 (when it did occur). 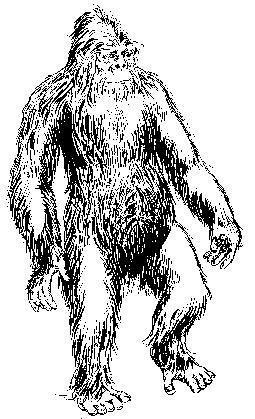 Harry Trumbore’s drawing of a Yeti from The Field Guide of Bigfoot and Other Mystery Primates Worldwide.